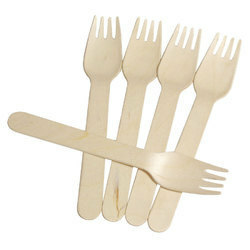 Offer an eye catching, economical alternative to traditional disposable cutlery at your take out restaurant, hotel, cafe, coffee shop, winery, office break room, or catered events with this environmentally friendly, renewable wooden fork! 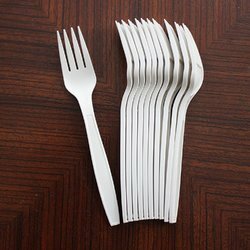 The heavy weight wood dinner fork is a great alternative to green, biodegradable plastic cutlery because it won't break down, or turn to mush, if stored in high heat areas. 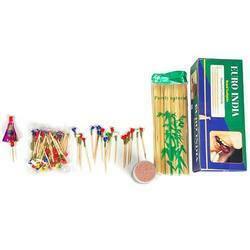 It's also burnable, which makes it ideal for use at summer camps or lodges. 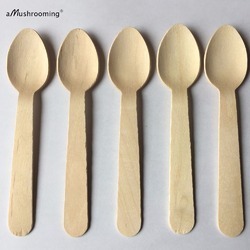 These heavy weight wooden utensils are made from solid birch wood that is harvested from F.S.C. (Forest Stewardship Council) Certified replanted / sustainable forests. 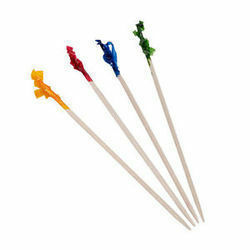 Disposable Wooden Gun Stick 6"
Decorative disposable Custom Printed bamboo sticks. High quality natural bamboo. Different sizes are possible. Polishing, smooth, convenient and insect-resistant, healthy . Perfect for grilling or roasting meats, vegetables, fruits, and various foods. Products is made of the natural bamboo by all machines, technologically advanced printing engraving. 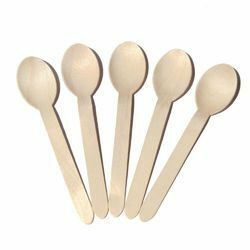 Disposable Wooden Gun Stick 10"
Disposable Wooden Gun Stick 8"
Original natural disposable dinnerware and the only range of range of dinnerware that is made from seasoned wood. 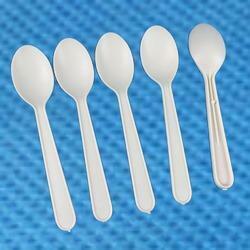 Its Disposable and 100% Biodegredable and compostable, eco friendly spoon available in 140mm and 160mm legth. 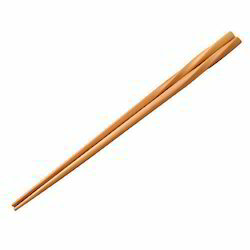 We have established ourselves as a renowned supplier and distributor of a vast assortment of Wooden Chopstick. Available in different attractive colors and sizes; these products are extensively used in various hotels and restaurants as well as households. 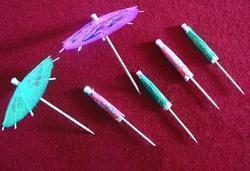 Furthermore, these products are customized on the basis of the specifications detailed by clients. 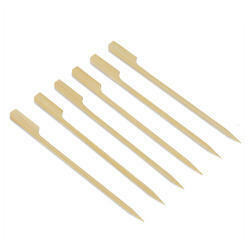 Looking for “Biodegredable Spoon , Fork , Knife , Skewers”?